"Ethel Barrymore in Suspense: To Find Help"
"You must learn day by day, year by year, to broaden your horizons. The more things you love, the more you are interested in, the more you enjoy, the more you are indignant about - the more you have left when anything happens." Ethel Barrymore was the second of the three children born to Maurice and Georgiana Barrymore. Ethel planned to become a concert pianist, but was perhaps internally and heritably drawn to the stage like her brothers Lionel Barrymore and John Barrymore. Her first Broadway appearance was in 1895 in a play called "The Imprudent Young Couple." She moved to London to perform on the stage. While there, she turned down young Winston Churchill's marriage proposal because she thought he didn't have much of a future. Ethel Barrymore started her film career in 1914. The two films that featured all three siblings, Ethel Barrymore, John Barrymore and Lionel Barrymore, were "National Red Cross Pageant" (1917) and "Rasputin and the Empress" (1932). After a decade of retirement from film, she starred with Cary Grant in "None but the Lonely Heart" earning her an Oscar for Best Supporting Actress. Ethel Barrymore's performances on old time radio were rare, but this collection includes all known surviving recordings. Her performance in Suspense as an older women terrorized by a psycho handyman is outstanding. 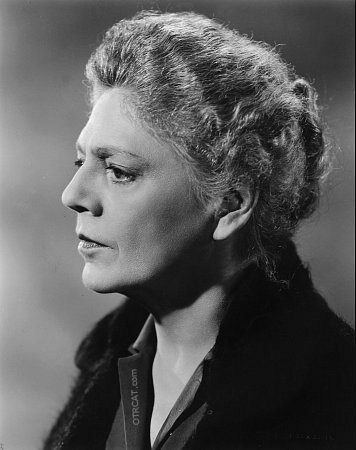 Ethel Barrymore died of cardiovascular disease in 1959. Be the first to comment on "Ethel Barrymore"